Chameleon has taken to the ever-present Kickstarter to get their project up and running, and has another update with how things are coming along to whet our appetites. These are the guys behind the Blackberry Playbook’s UI and they are taking a different spin on Android tablets and their interfaces. Their latest video shows off the selection of their widgets across their easily dividable interface. Facebook, Instagram and Twitter feeds can be added and moved around very easily, and look good while doing it. The project is still pretty far away from their goal on Kickstarter, but you can get the application itself for as low as $5, or more if you’re looking to donate to the project. 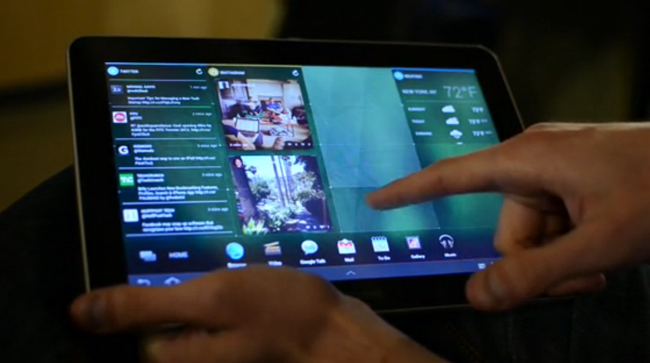 Are you impressed with this new take on Android tablet interface?